If you are like us, pasta is a meal enjoyed many-a-nights. It's cheap and easy, and it fills us up quickly...making it a go-to meal in our home. If you are also like me, having the spaghetti in that little bag (because the bagged kind is the cheapest) drives you CRAZY! We are only a family of two, so we definitely don't go through an entire bag at one time. I like my cabinets to have some semblance of order, and with the bags that never stay closed or that rip down the side making you store them in gallon zip locks, it's just plain annoying...not to mention wasteful when you pick up the partially used bag and the contents dump all over you and the floor. Argh. I've found the solution! I'm not entirely sure where I first saw the idea, so I apologize for not being able to give credit where credit is due. 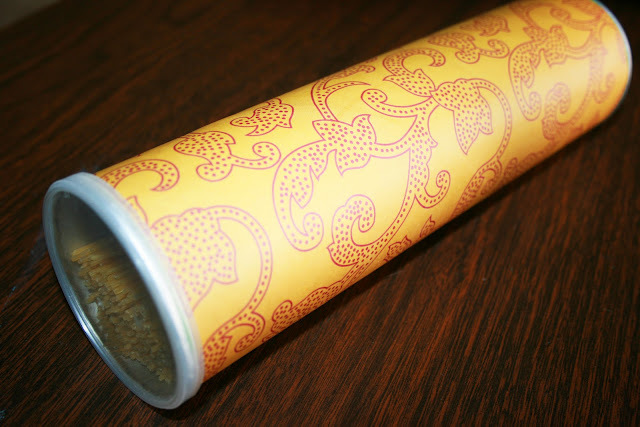 But, there are quite a few blogs with this craft, so I figured it was okay to go ahead and share my creation. 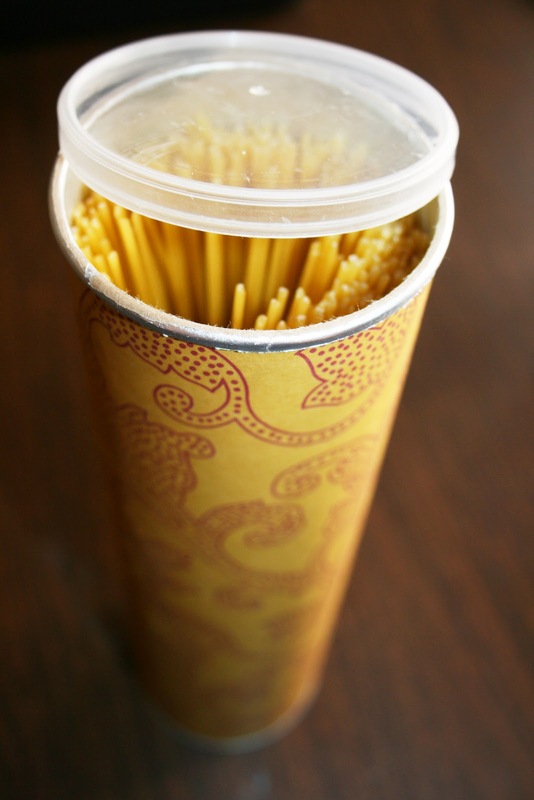 Pringles Cans = Pasta Storage!! Lots of 'pros' here: They are the perfect length. Two bags of spaghetti fit in each can. The lid stays securely on, so there is no mess. Because the lid is clear, I can still see when I'm running low and need to buy more. The outside is a perfect spot for a little 'redecorating. 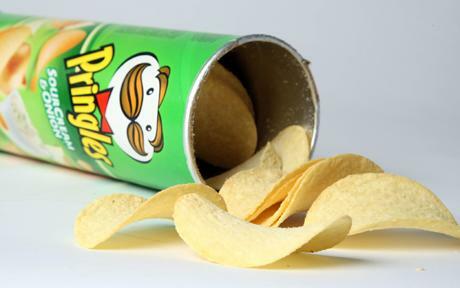 One con, at least in my house: We don't eat Pringles...solely because they are expensive. Very tasty, but expensive. So I put a little 'cry for help' on Facebook to see if anyone nearby had an empty Pringles can they were about to throw away. Sure enough, someone just down the street was willing to part with their so-called trash. "One person's trash is another person's treasure"...right? 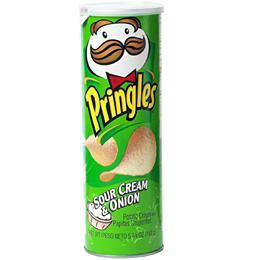 They happened to give me a Sour Cream & Onion can. Which means that it smelled like sour cream and onion chips. I, personally, do not want my pasta to be scented or flavoured sour cream and onion. So I washed it out and dried it (promptly dried it, because the can is cardboard and therefore can't get too wet). Then I mod-podged a pretty scrapbook cardstock paper around the outside. Filled it with spaghetti, and voila. What a great idea! We will have to give this a try. I think this solution would even help protect the spaghetti from getting broken, like it does when stored in the bags. I like this!